Truthfully, I’m winging this challenge. 🙂 In the morning of December 29, I had fully intended on doing a month of organizing here on Simply Frugal for January. But come the afternoon of December 29, I realized that that would be silly of me to do personally because I should be packing up to move instead of organizing things! So, the No Spend Challenge just made more sense since we could really do with a lot less spending. 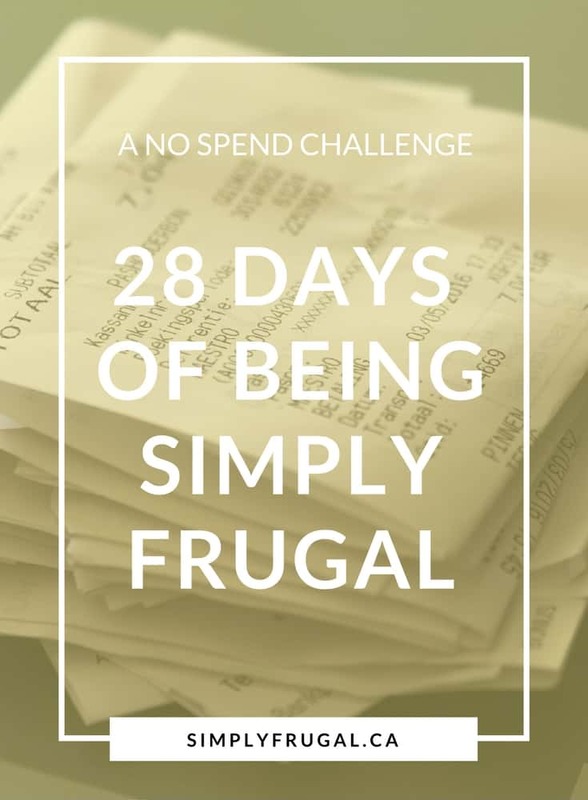 It appears as though many of you agree because so many of you have joined me over at the Simply Frugal Community on Facebook! Yay! Before we get started with today’s post, I thought it would be important to think about why you are taking the No Spend Challenge and what you hope to achieve. It’s important to always keep your reason(s) in mind as the challenge goes along because this month isn’t just about saving money, it’s about changing your mentality as it relates to shopping, your needs, and what a good life is all about. Today, we’re going to spend some time thinking about our menu for the month. (Or start with a week and go from there.) Food can be a huge area of the budget. Especially if we’re used to eating out regularly. Let’s see if we can learn to use what we have and cook more often at home by planning some meals. Get the Pantry Inventory worksheet here. 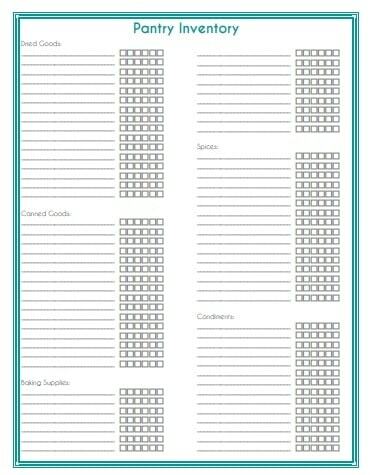 Get the Freezer Inventory worksheet here. Now, take a look at your pantry and freezer inventory lists and think of one meal that corresponds with each ingredient. For example, if tomato sauce is on your list, you could write spaghetti, sloppy joes or lasagna. Finally, find more ideas by getting inspired by taking a look though cookbooks, magazines or browsing the web! Pinterest is a great way to find recipes as well. I’ll be back tomorrow with my list of No Spend Month Meals. I’d love it if you left a comment listing at least one meal idea from the list you just made! Be sure to join the Simply Frugal Community on Facebook for the discussion we will be having about this.